The matter is being adjudicated in the Russian arbitration court system. 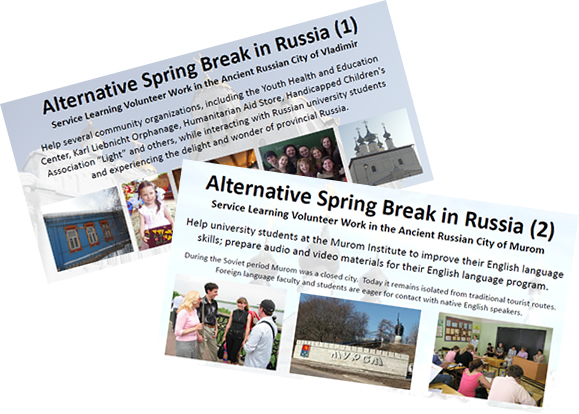 Our main activity is our English and culture program where we have approximately 500 students each fall and spring. In part because the court’s final verdict won’t be handed down until after the start of the fall term, and in part because we want to be able to bring all of our major activities under one roof, we are preparing to move into new quarters in a building that is under construction. In reality, we don’t have any choice. We have to make the move. We have been entirely self supporting for more than 20 years. But we cannot fit all of the moving related expenses into our limited budget. If those JRL subscribers who believe in the value of sustaining grassroots organizations like ours make whatever contribution they can, and if they share the information about our need, our fundraising effort will have a significantly improved chance of success.